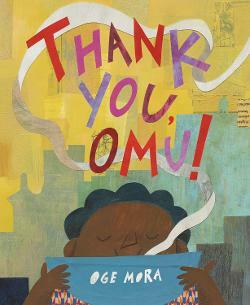 Not only is Thank You, Omu! a wonderful story about generosity, community, and kindness, the artwork is spectacular! 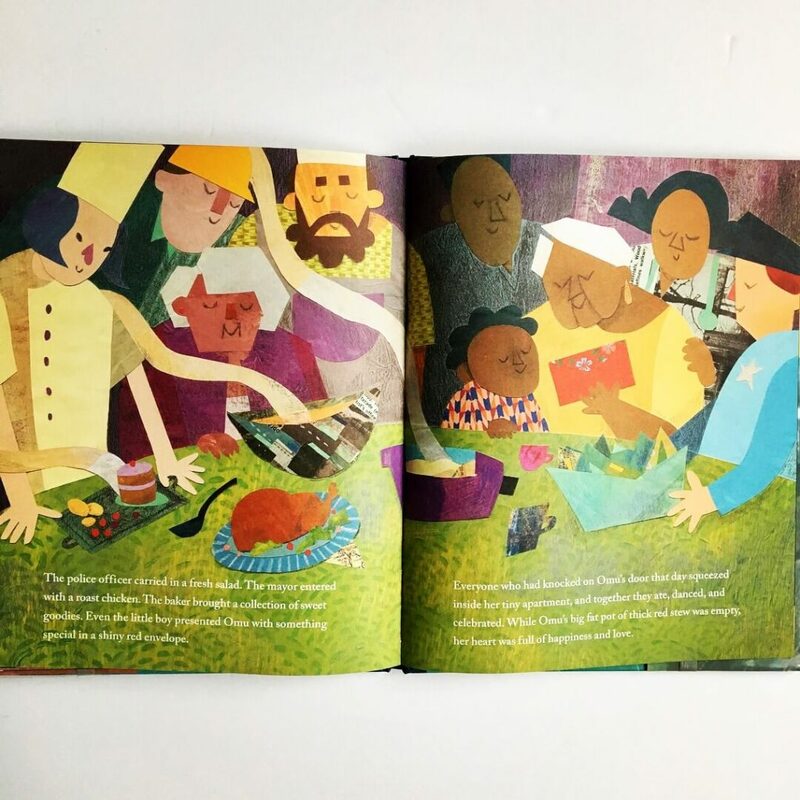 Gorgeous collages created with acrylic paint, china markers, pastels, patterned paper, and old book clippings adorn this tender story that is not only perfect for Thanksgiving, but all year long! In this heartwarming tale, Omu prepares a thick red stew that she believes will be the best dinner she has ever had. 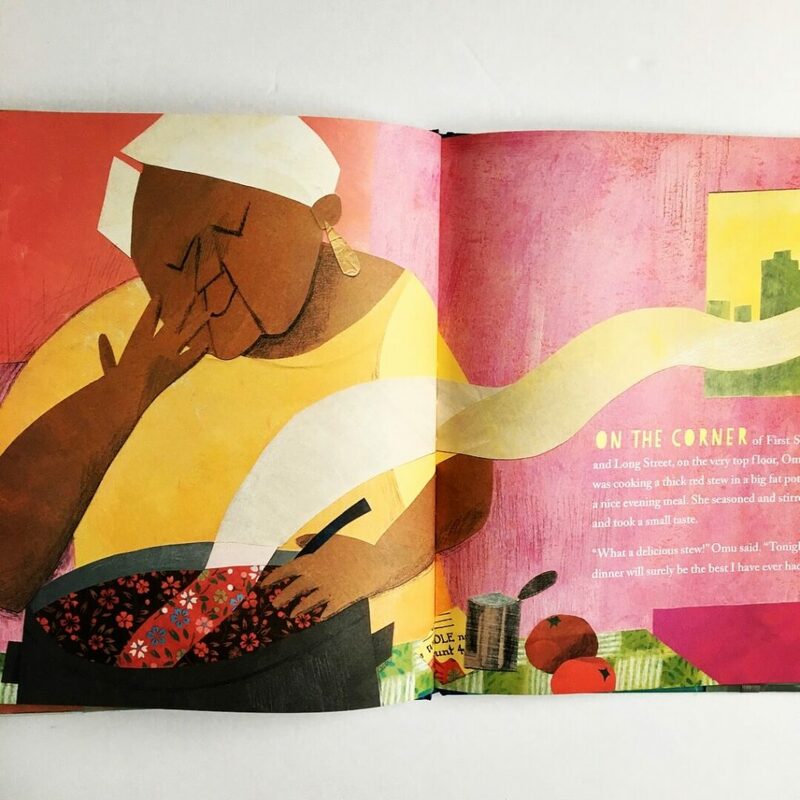 The delicious aroma wafts through the city bringing people to Omu’s door where she graciously shares her stew until her pot is finally empty. She doesn’t have to stay hungry for long, however. The members of the community return with their own culinary gifts to share with Omu in what turns out to be the best dinner she ever had. 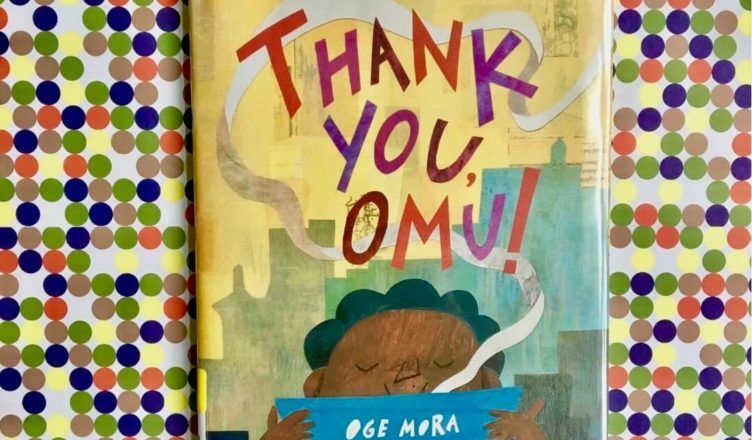 “While Omu’s big fat pot of thick red stew was empty, her heart was full of happiness and love.” I just love this sweet story that will touch your heart long after closing the book!